Name it...."Every Plum Bit"....lol. Just could not resist. I love that you dug parts out of the trash for it. Makes this little little so special. I am also so loving the big log cabin quilt. That is such a great block to work with. This one is turning out to be wonderful. Don't let it simmer too long before you add borders. It deserves to be finished. Oh my! And in Pam’s purples! A treasure for sure! And such exquisite quilting! Makes my humble meanders look...well humble! You know me! 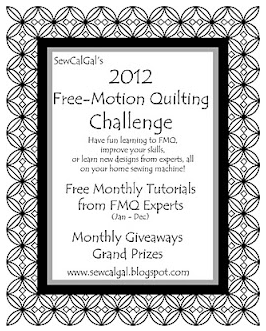 FREE motion quilter!! Perfect finish! I usually don’t name others quilts, but how about Perfectly Plum! You are an inspiration to many! Blessings my friend! Your little 'make-do' quilt is perfectly wonderful, and I love both names already suggested by Debbie and Doniene. That's a very ingenious solution to your binding dilemma, and if you hadn't pointed it out I don't think most of us would have noticed. The little red-bordered top is very pretty too, the fabric looks very familiar, I think there might be a tiny bit of that red fabric in my scraps. Another cold night ahead but hoping for a bit of warm-up by weekend. I like Every Plum Bit mentioned by Debbie above. You definitely made it work and it is beautiful. The other mini is pretty too. You've been busy, as you almost have a full quilt top there. January seems to have been a productive month for you! I love the purples. I think plum fabric is one of my favorite things. I'm not into the red side of purple, I like the blue side the best. This little quilt turned out so nice. I'm glad you are doing the BOM, they can be really fun. I used to sign up when Dana was still the owner of Thimbles and Threads in Draper. She came up with some great ideas. What amazing saves on the beautiful purple/blue quilt! I had to do a double-take, no, make that a triple-take look to see any of them! The red little quilt is beautiful too! Now get those log cabin blocks together while you know where they go --- before they come crashing down and you have to figure it out all over again! ---"Love"
"Making Do" is perfect! I love it for so many reasons. 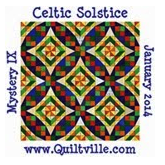 Very, very pretty, precise, lovely mini quilts!! I love your design wall scrappy one too. Your mini's are just so gorgeous Janet. Yes I am very much in line with the making do philosophy. Your new BOM is a lovely pattern. Looks like more than one mini got the Finishing touch. Glad the wall will be empty sometime soon. I'm still working on the Swap mini to be ready when you say go mail it. Had to finish the bindings, now they're done I can stitch other stuff while watching TV, lol. Oh how I love this one! And, congratulations on your finish!! I don't usually finish with a lighter binding either, but this really is gorgeous and your "fix it" fabric is perfect. 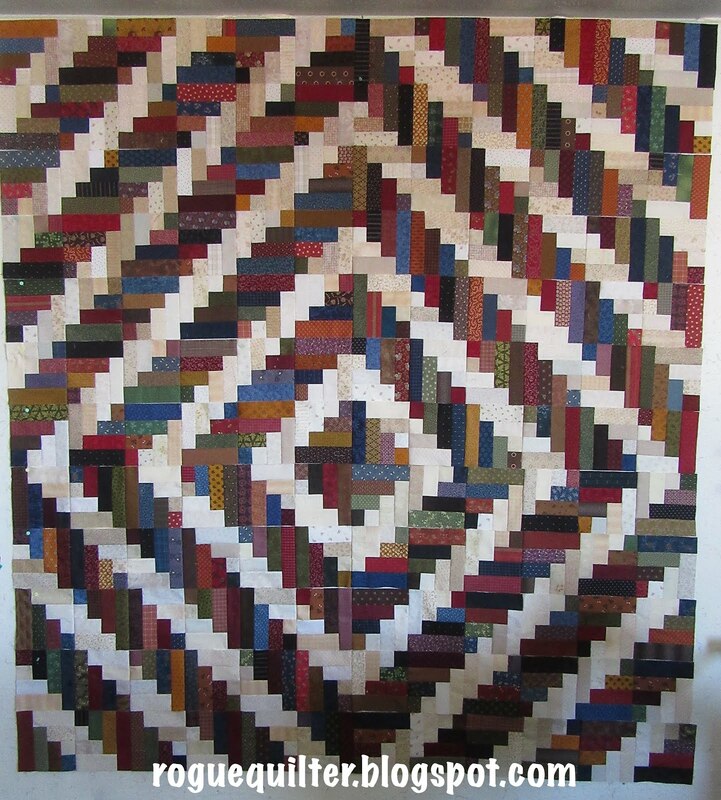 I do love to see antique quilts with a "make do" piece added. It gives it so much charm. And it looks like you have next month's mini almost done as well! Thanks for joining in, I know how limited your time is right now. You are awesome! Love the "make do". Your quilting choices are always just right for your quilts. What tools do you use to mark them with? Your comment is not attached to an email address, so I cannot reply to you directly. I hope you see this. I mark using stencils quite a bit, and I use either a "Pounce Pad" with them, or a Clover Brand water erasable marker, or the Clover Brand White Marking Pen that irons away. Sometimes I use a combination of them, depending on the color of the fabrics I am marking. Other times I use quilting rulers, rather than marking. Your January mini is perfect! Love that you 'made do' using lots of bits and pieces. Your quilting is always so beautiful! Looks like you might be ahead of the game for February. Wow! Lots and lots of pieces on the wall, lol! Lovely little churn dash. Jill would love all those pretty plums. The make do on the binding is fabulous. It is the kind of surprise I love to see in a quilt. that broken dishes mini is so charming. the combination of red and black make those little blocks just sparkle! Great work on those log cabin blocks. 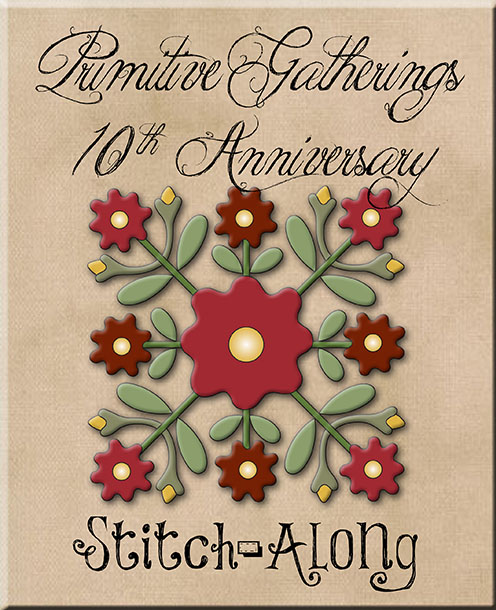 That is a lot of stitching, pressing and cutting! Had to laugh at your BOM comments. funny how we get caught up in the moment. The purple churn dash mini is very sweet and I love your make do attitude! The Kim Diehl BOM will be amazing....I am sure you can manage it at your own pace. I'm admiring all of the make-do in that mini! Love it! 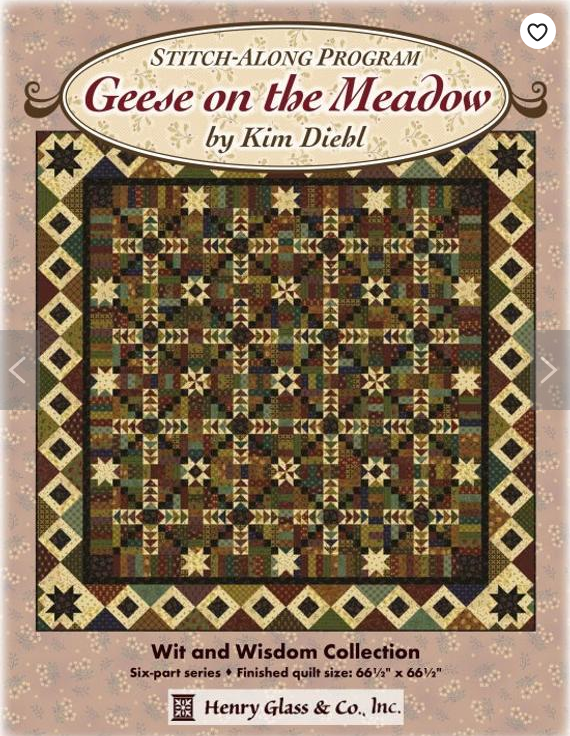 The Kim Diehl BOM looks like a goodie. I'm looking forward to your new corner blocks...I think those stars in the design are a bit too overpowering for the quilt. NICE job on the mini of January!! and the quilting is amazing, Janet!! And the quilt on your wall is awesome. Doesn't look very mini though... is it really yours?? I had to look three times to see your make do solution. I love it! Thanks for sharing, you will enjoy customizing the BOM.